Katrina Bulkley is Professor of Educational Leadership at Montclair State University. Her research examines the intersection of policy and leadership in efforts to increase market-linked ideas in education and enhance accountability and data-driven change. She studies issues around the increasing use of new governance structures and non-public actors to improve public education (with a particular focus on urban education). 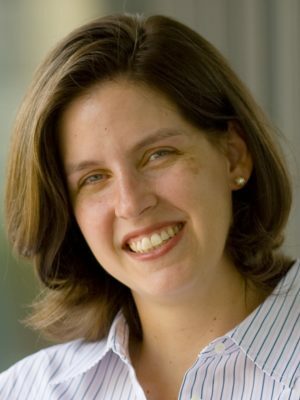 She is Principal Investigator on "The New “One Best System?”: Urban Governance and Educational Practice in the Portfolio Management Model" funded as a Lyle Spencer Research Award by the Spencer Foundation. This project examines the connections between governance change and educational practice in Denver, Los Angeles, and New Orleans. Her recent studies have focused on the role of new actors in the delivery of public education and the preparation of public educators, and how the work of these new actors is changing the shape of public education from the national to the school level. She recently completed a projects examining the role of interim assessments for school improvement in the context of different school providers. In addition to her work on portfolio management, ongoing projects include a study of the development of aspiring leaders in non-traditional leadership preparation programs in New York City and an examination of changing policy ideas at the national level in the U.S.
Bulkley received a B.A. with Honors in Government from Wesleyan University, an M.A. in Political Science from the University of North Carolina at Chapel Hill and a Ph.D. in Administration and Policy Analysis from the Stanford University School of Education. Her research has been supported by grants from the Spencer Foundation, the National Science Foundation, the U.S. Department of Education (through the Consortium for Policy Research in Education), the Geraldine R. Dodge Foundation, and the New Jersey Department of Education.